Choosing the right manuka honey can be surprisingly difficult. Not only do you have to navigate the various grading systems and different quality grades within those systems, but you also have to know which grade is best for your intended use. But, it turns out that like most things, figuring out which manuka honey is best for you is a lot easier if you know what to look for. 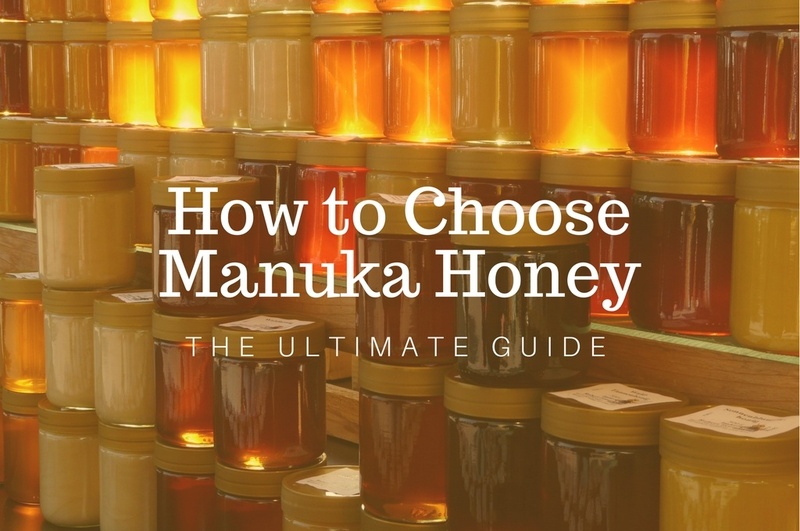 In this guide, I’m going to show you exactly what to look for and how to choose manuka honey that’s right for you based on how you plan to use it. Which manuka honey is best? Which manuka grading system is best for me? What grade of manuka honey is best? I would argue that there isn’t really one best manuka honey for everyone. It’s just not a one size fits all kind of thing. Don’t get me wrong, there are higher grades of manuka honey that are objectively ‘better’ because of their strong antibacterial activity. There’s a big difference between high quality and low quality manuka honey, both in effectiveness and in price. But, from an individual’s perspective, the best manuka honey is the one that is potent enough for its intended use. For example, a low grade manuka honey is great for sweeting your tea or using as part of a beauty routine. In these cases, the antibacterial strength of the honey isn’t that important. On the other hand, if you plan to use manuka honey as a salve to improve wound healing or to treat acne, you’re going to want a manuka honey with at least a moderate level of antibacterial activity. If that wound is infected, spring for the high grade stuff. It’s important to note that high grade manuka honey can be used in place of low grade manuka honey, but low grade manuka honey can’t be substituted for high grade manuka honey. So, if you have multiple uses in mind, get the highest grade required or get multiple grades and use them accordingly. I’ll go over each one of these points and by the time we’re done, you’ll know exactly which manuka honey is right for you. There are a ton of different uses for manuka honey backed both by hard scientific research and ancient wisdom. 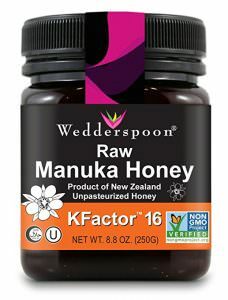 I categorize non-medicinal uses for manuka honey as uses that do not require meaningful levels of antibacterial activity. In these cases, it doesn’t hurt to have honey with antibacterial activity, but it’s not required. The short and sweet of it is that if you’re planning to use manuka honey non-medicinally, you can really use any kind of manuka honey you want. 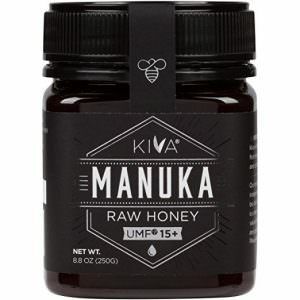 Having said that, I would still recommend sticking to a raw manuka honey, as raw manuka honey has higher levels of beneficial enzymes and antioxidants. I consider medicinal uses for manuka honey to be uses that require meaningful levels of antibacterial activity in the honey. If the manuka honey doesn’t have the required level of antibacterial activity, it’s not going to be effective. All of these uses benefit from antibacterial activity in the manuka honey. If the answer to that question is yes, you’re going to have to pay close attention to the grading system and the quality grade on the jar of manuka honey. It’s a common misunderstanding that all manuka grading systems convey the medicinal quality of the honey. 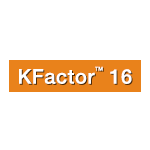 After all, a UMF 15+ and a KFactor 16 manuka honey look pretty similar at first glance. Unfortunately, that’s not the case. Some grading systems convey medicinal quality and some don’t. What do I mean by the ‘medicinal quality’ of the manuka honey? All honey can have some level of antibacterial activity due to naturally occurring hydrogen peroxide in the honey. What makes manuka honey special is that it can have non-peroxide activity (NPA) in addition to the antibacterial activity from the hydrogen peroxide. I say can have because the level of NPA varies between different batches of manuka honey. 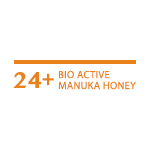 Not all manuka honey has NPA. So, when I refer to ‘medicinal quality‘ I’m talking about the level of non-peroxide activity in the manuka honey. The medicinal quality of manuka honey isn’t a huge concern if you’re using manuka honey non-medicinally. In that case, the antibacterial activity of the honey doesn’t matter very much. But, if you are using it medicinally, you’ll want to be very particular about which grading system you rely on. If you don’t, you could end up throwing away your hard earned money. What it ends up coming down to is that if you’re planning on using manuka honey medicinally, you’re going to want to stick with either a UMF or MGO manuka honey. These grading systems give a good indication of the medicinal strength of the manuka honey. For non-medicinal applications the antibacterial strength of the manuka honey isn’t as important. 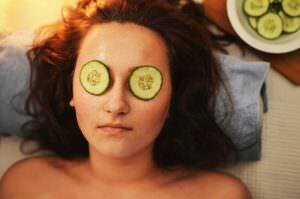 In these cases you’ll be fine with a KFactor or Bio Active manuka honey. 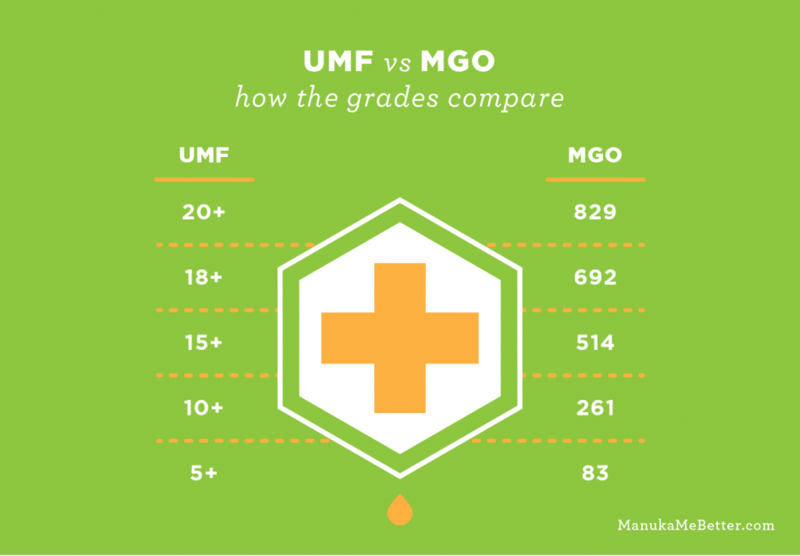 UMF and MGO are the most commonly used grading systems that convey the medicinal quality of the manuka honey. 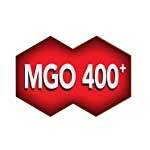 UMF grades start at 5+ and go as high as 25+ and MGO starts at 30+ and goes above 800+. As I mentioned previously, if you’re using manuka honey non-medicinally, it’s not essential that it has antibacterial activity. Generally, I’d recommend a low grade manuka honey as there isn’t much benefit in spending the extra money on a high grade manuka if you’re using it non-medicinally. Specifically, I’d go for a UMF 5+, MGO 30+ or any grade of KFactor or Bio Active manuka honey. Try make sure it’s raw manuka honey, though. This will ensure the highest levels of beneficial antioxidants and enzymes. Grades below UMF 10+ don’t have significant levels of antibacterial activity. So, if you’re using it medicinally, the lowest grade you should be looking for is UMF 10+. Like most things, manuka honey is less effective when it’s diluted. If the manuka honey is diluted enough, it loses its antibacterial activity completely. To maintain the antibacterial activity when diluting the honey, use a higher grade of manuka honey (like a UMF 15+ or UMF 20+). Those rules of thumb should give you a pretty good idea which grade of manuka honey will suit you best. Based on those rules of thumb, here’s the grades I recommend for specific uses. These recommendations are based on my personal research. I’m not a doctor, so if you’re dealing with a serious medical issue, ask for your doctor’s input. For general first aid, I’d recommend getting a UMf 10+ manuka honey. UMF 10+ is the minimum grade of manuka honey with meaningful levels of antibacterial activity and has been shown to be effective at inhibiting the growth of a variety of bacteria species. 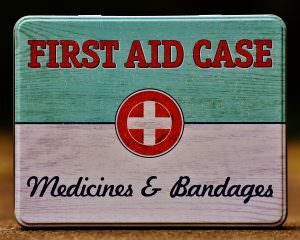 While UMF 10+ manuka honey is a good choice for general first aid and preventing infection, if you’re dealing with an established bacterial infection, UMF 10+ manuka honey may not cut it. There is a difference between preventing bacterial growth and killing bacteria outright. Generally, higher grade UMF 15+ or UMF 20+ manuka honeys are more effective at killing active bacterial infections. If the infection is serious or you feel feverish, make sure to get it checked out by a doctor. Acne can be caused by a variety of factors but one of the most common is a bacteria called Propionibacterium acnes that lives in your pores. P. acnes has been shown to be susceptible to manuka honey’s antibacterial activity even with a grade of UMF 10+. Higher grade manuka honey is more effective but a UMF 10+ manuka honey should do just fine. One major consideration for digestive issues is that manuka’s antibacterial activity decreases if it’s diluted. If you use manuka honey externally (say, as a salve for a wound), the honey doesn’t get diluted very much if at all, so it retains its full antibacterial strength. If you ingest the honey, that’s a different story. When manuka honey is ingested, it gets diluted in your stomach by digestive fluids, causing the antibacterial activity of the honey to be less effective. 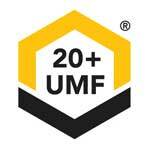 Consider using a UMF 20+ manuka honey if you’re trying to treat a digestive issue. The higher grade means that the antibacterial activity in the honey holds up better even when it’s diluted.